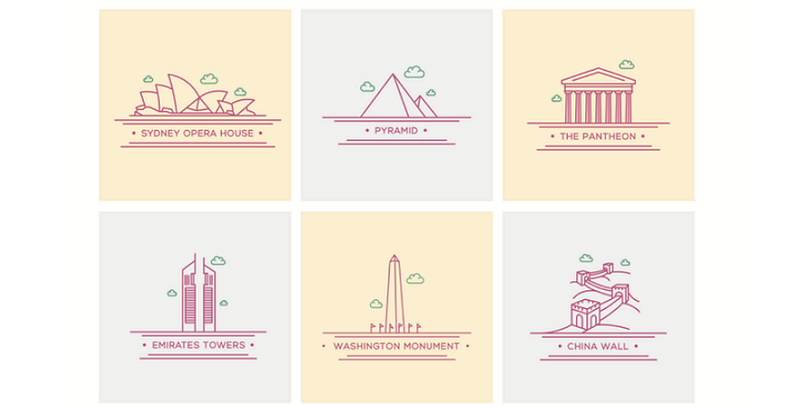 Today we’re happy to release a new freebie: 18 lovely world landmark icons such as the London Eye, the Eiffel Tower or the Empire State Building. The icons are detailed enough to show architectural elegance but without adding chaos. They’re designed to work best in both digital and print media. The set contains 18 line icons in five file formats: AI, EPS, PDF, PNG and PSD. You might want to use them to spice up any travel-related website, for example. As always, the icons are available for free download and use in all private and commercial projects. The set is licensed under a Creative Commons Attribution-ShareAlike 4.0 International license. Again, as long as you don’t resell bundles of the illustrations, you can use the illustrations for anything you need.